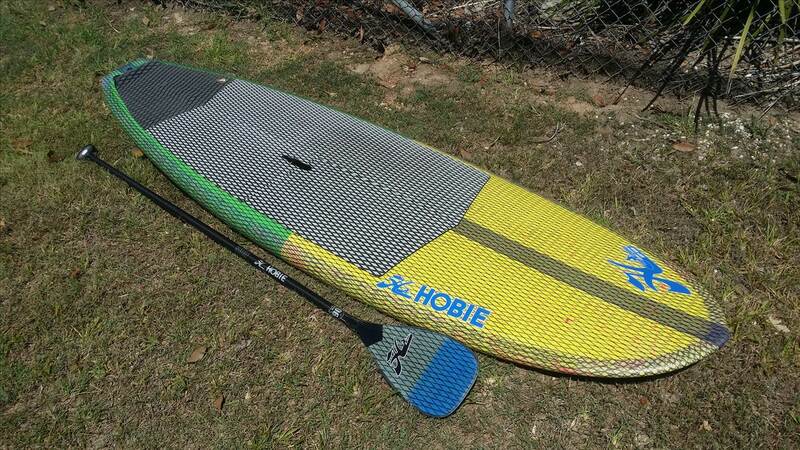 There's a 9-0 CM Pro from Hobie that I've been riding for a while now and have been absolutely in love with. Its a long board shape - 30 wide, at 137lts - so is clearly a board with plenty of comfort for an experienced SUP rider, but which is literally the funnest and most enjoyable board I've ridden. Its not a board built for hacking lips like a sub 8-0 shortboard SUP, it's a board built for the stoke of SUP surfing - so damn stable, paddles great, picks up the smallest crumbly waves whilst also being able to handle well overhead conditions with ease. 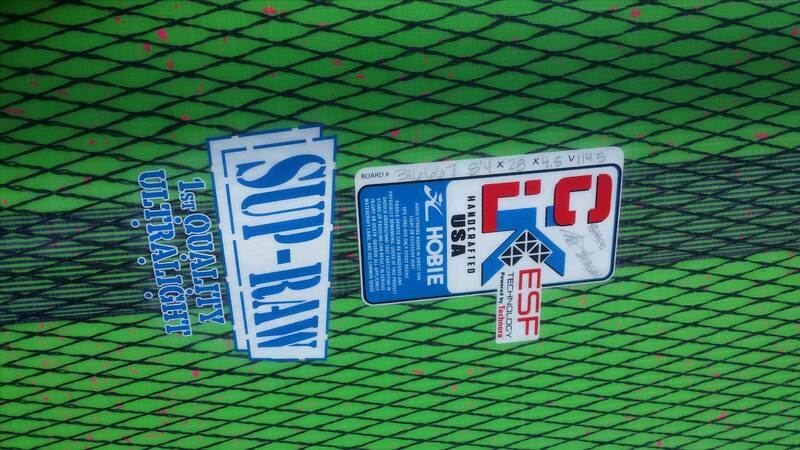 It's also super comfortable on the junky and windy days when a small board would just be a battle. I really enjoyed the winter on that board - and it even took my preference away from that gorgeous 8-0 I got last year, as it is just such a fun stick to ride in all sorts of conditions. Still, I like to try and chuck a bit of spray here and there, and much as I love the 9-0, there were times when it just wasn't the right board.Naturally my mind starting wishing for a shorter, nippier version of the 9-0. I wanted a board that was super comfortable like a big board, but which could behave like a much shorter board when I wanted it. Yup, I wanted all the cake and damn right I'm gonna eat it. I made the decision to see if this would be possible, and got in touch with the main man in the States, Mark Johnson, to have a chat. At the end of saying what I wanted all out loud, there was a silence - and I thought '****, maybe I should have asked for a unicorn too'. But when you hear the words 'Funny you should be asking for this, because I'm actually working on something similar for Colin (McPhilips) right now! From there, the dream was born and the design was swiftly created.I'm about 6'2" and hover around 93-95kgs. I wasn't concerned about going as small and thin as possible - I wanted comfort and a good board to paddle - so we settled on an 8-4 x 28" at 114ltrs.It arrived a week or so ago now and I've had a few sessions on it in small and pretty average conditions. It is the absolute BOMB. My opinion is obviously massively biased as it's a custom board built to specs and a brief that I've wanted - but my goodness, it is something else and I am soooooo stoked with it. 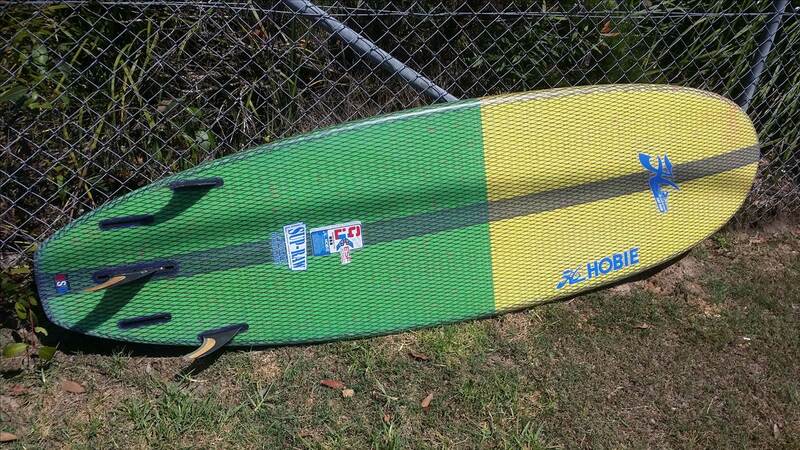 So far, it has ticked all the boxes I wanted it to - it paddles great, is awesomely stable, and can turn a crappy 2ft shorey into a wave you are stoked to have got up at 5.30am for. I've yet to have a session with 'decent' 4-6ft waves, but having picked a couple of 'mini bombs' during the sessions I've had, I'm in no doubt its going to be a screamer. Anyway, here's some pictures..Theres also a shot of the new paddle I got too - a Hobie/QuickBlade partnership paddle that I've also fallen deep, deeply in love with. Sweet looking board mate and my type of dims . Have you run it as a quad and thruster or just thruster? Hey mate, no, not yet. Can't wait to though. MJ reckoned that it should go great as a quad. I really like the look of this board Greg. That fat tail is screaming quad. Fun, fun, fun. How's the construction? Robust? Look, they're not cheap - around 2500 - but I'm happy to treat myself to something really special every now and then. The start to finish process can take a couple of months too. These boards are really lightweight - this one is 8kg - and although they do suffer a bit of slight foot compression (to be expected when they are constructed so light and I'm 93kgs) - they hold up really well. I've never had one split on the rail and there's obviously no paint to chip which is a big plus. I've never had to fix up a foot compression either. The standard 'production' boards like the 9-0 and 8-10 that adamj mentioned, are even tougher, almost as light, and don't suffer the foot compressions.